MBW Is Featured On Harian Metro! MBW made it to the media again! 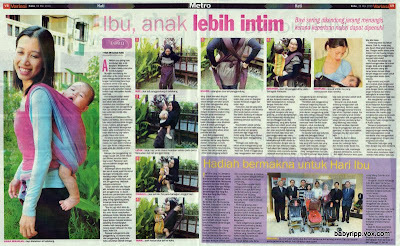 This time, thanks to Liza of SNUGGBABY, MBW was featured in today's (May 19, 2010) Harian Metro under the Variasi segment. In general the article covered about the different types of baby carriers as well as the benefits of babywearing. 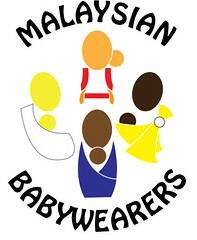 We hope that this article would let us reach further to the public in our mission to spread the babywearing love. Note: Images are courtesy of Liza of SNUGGBABY.